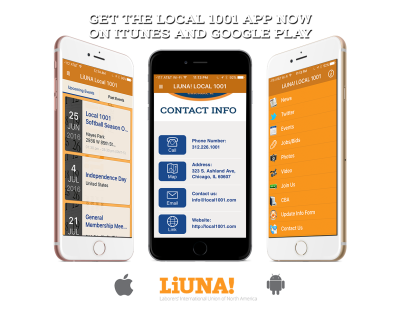 Laborers' Local 1001 is an affiliate of LiUNA, the Laborers' International Union of North America. 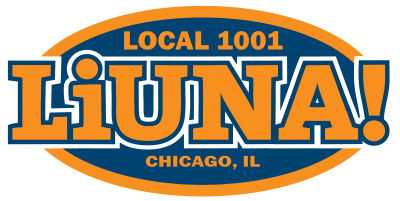 Since 1937 Laborers' Local 1001 has proudly represented City of Chicago employees. The hard work and dedication of Local 1001 members ensures the City of Chicago remains a World Class city by keeping our alleys, streets and airports clean and in good repair. Local 1001 was founded on human diversity providing justice, dignity and honor through the strength and solidarity of its membership. No admittance after meeting begins.